A young woman I'll call Lana came to Dr. Seshat having been hospitalized multiple times with a diagnosis of "Bipolar Disorder." Her first reading reveals that there are beings who wish to work with her, and these "episodes" where she "decompensated", ie. had a breakdown/manic episode, were times when they were kicking the door down, pushing her to make contact with them. They also explained about where she landed within the Ancestral Realms during these episodes, and why it was so uncomfortable. Yet because these breakdowns and hospitalizations were so disturbing, Lana was furious at the though that she was being forced to communicate with the ancestors, and that they would allow her to suffer so. In the audio track below, you will hear as they explain that before she gets angry at the ancestors, she must first remember who they are! And she must understand these challenging experiences in the context of the unbalanced society that we are living in here in the belly of the beast. They explain how she ran to various places in Queens, etc., to Afrocentric cultural gatherings, in search of herself. 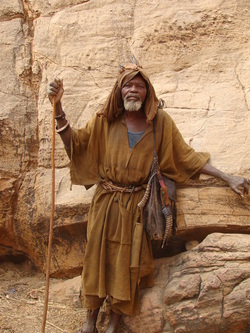 And how it was the call of the ancestors that led her embark on this journey to find herself through her traditions. You will also hear references to a gathering with "white people" where she "did not smile". This refers to an uncomfortable incident where she was surrounded by those who "do not look like us", as we say, and she felt ill at ease. Over time, Lana will piece together how her journey to strengthen her cultural identity and communicate with the ancestors will bring her back into balance. In this way, the ways in which she reacts to this unbalanced society will be less jarring. and she will be able to communicate with the ancestors in a harmonious way. Feel free to listen to our exchange in it's entirely, or merely to have a glimpse to get the message that you need at the present moment. It is with great pleasure that, after a very long hiatus, I am finally sharing the great work of Sakhu with the community on this forum! either alopathic or holistic treatments. 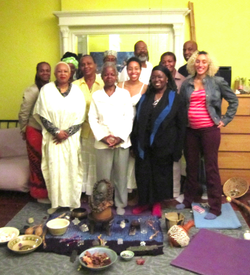 During our sessions, the ancestors share the source of her suffering. There are many beings in the ancestral realms who wish to communicate with her! Without her knowing it, she had been tensing her head, out of fear! This has been causing the migraines. No medications, herbs, or energy healing brought relief in the past! As always, the ancestors explained the proper way to live in order for us to heal as a community. They also spoke of her role in the family. 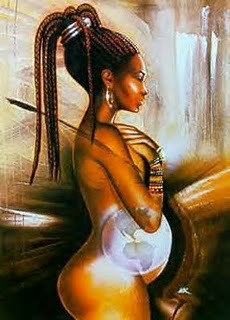 She is able to see the ancestors right along with me as we heal her! Indeed, she is very gifted. “You are blessed!”, they declare. And finally her pain, which had been decreasing in stages as we worked, disappears completely when this counsel of ancestors speak. You will hear as I burst out laughing, realizing that this is the precise moment that the pain finally leaves her! Below, I have attached the wise words of the ancestral counsel. It is a recipe for redemption for us all. Today we were back in the depths with Yemaya! 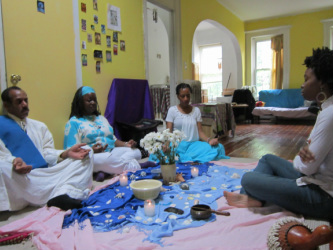 These days we are focusing on the spirits brought forth through the members of the Sakhu village, and Yemaya is deeply connected to our circle. We used the elixer formula from the last ritual, alkaline water charged by the sun and moon for several days with blue and clear gemstones and shells. We placed a few drops on our bellies giving the womb a good massage as we laid on our backs in "goddess pose" (with the knees splayed out and the souls of the feet touching). While the women focused on their wombs, the men focused on the heart. Here is the message that came through when I aligned with Yemaya during the ritual. Don't miss the last portion where she makes a very powerful promise to us all! Protect the ocean like you must protect your mother- for the sea creatures AND the mermaids! And she wants us to take baths with shells, submerge yourself in water, feel like you're back in the womb, floating. Put one hand on your heart and one hand on your womb- go into the womb, surrendering to the weightlessness. Shed what you’ve developed into since you left the womb as a lot of that is disconnected from spirit. She wants us to come closer to her, to be connected to spirit- to be like children, to play. Remember to enjoy simple things. Lift the veil between the physical and spirit.Be in the ocean, in the spirit realms with me.Because when you are disconnected from spirit you are disconnected from love, you are disconnected from who you are. This week she wants us to be in the ocean ALL THE TIME. 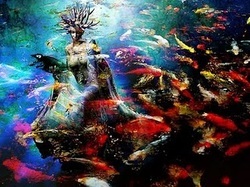 All day as you walk through the day you must be in the ocean.See everything submerged in water and the fish all around.See yourself in the ocean, connected to all things, connected to love.See yourself as a citizen of the ocean, needing to protect the ocean. And see me in my mermaid form with my locks and cowries shells smiling at you, all day. When you see physical things and you think that is all there is you must understand that that is not real. Everything around you had spirits around it, has an aura. And there is no need to engage with everyone around you because they can distract you from the spirit realms! When people try to talk to you you don’t have to pay so much attention. It’s not important! It’s important to listen to us, listen to spirit. As far as connecting with her there is no external way that does it by itself. The most important way to keep her with you is to want to! It seems so simple but just to want to, to understand the importance of it is very powerful. If you at this moment, truly desire to have me in your heart, to have me with you at all times- if you truly desire that and devote yourself to that then that is how I connect with you. You must consider, what does it mean this goddess of the ocean, this goddess of love, of maternal wisdom, of healing of birthing? What does it mean to have that inside of you? If you want to awaken that, if you want to connect with that you will hear me, you will hear me. I am always around you, it’s just a question of hearing me. And you can start with me and then this becomes the gateway of everyone else. You just want to start with me because you want to begin to open to the spirit realms. So I am the first one you can connect with. So this week, use me. Use me as your gateway into the spirit realms. I am the first one you can connect with. You learn how to be with me. Start with me, start with your mother, start with the ocean. Open your heart to the divine mother. If you honestly desire to do that you will be with me. If you honestly endeavor to be with me you will hear me. So trust in that and do that. And once you have done that you will be able to perceive anyone else. Let me be with you for the week and then you will be able to find others. You will be able to find anyone that you want to speak with. And she is making a promise that she will help us. She is making a promise that if we dedicate ourselves to her that whatever it is that we wish in terms of connecting with the spirit realms or having more lightness in our life- Whatever it is that we want from our spiritual practice she is making a promise to us that she will help us. So this week you make a promise to the mother and the mother will deliver to you whatever it is that you wish for. And she says, You can’t imagine my power to deliver whatever it is that you want! You haven’t experienced that yet. But believe me, I can deliver whatever it is that you want! So dedicate yourself to me. So let’s commit ourselves To Yemaya for this week! Can you embrace the reality of how powerful she is? And can you commit yourselves to giving her this week- to doing one or two of these rituals every day: The mud ritual, the hand washing ritual, making the elixer, drinking the elixer, pouring the elixer in your hair. And each day walking through the entire day seeing her in the ocean, seeing her floating in front of you. Can you devote yourself to being in this all week? And you must say, "You made a promise to me Yemaya! I will give myself to you and I trust in your power that you will deliver something to me!" And she says that by the end of the week you will receive something! You will receive powerful evidence of her power. And so she challenged each one of us to devote ourselves to her. So take a moment to see if you are willing to do that. Don’t miss the opportunity. She has made a promise! This Sunday at 6PM, we will gather to receive messages from this spirit who has been trying to communicate with us, though his language is not understood by most who will hear him here in New York! Join us to receive this blessing. I'm going to come through! You need to listen to us! He then drew a line in the earth. I understood that this line separated the physical and the spiritual realms. We are blind! We are blind! 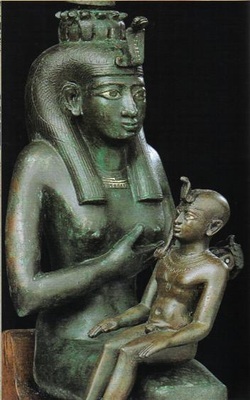 We must cease to be blind to the ancestors! We must let them live among us. Know who they are, feed them. Listen to them. Follow their counsel. They are our blood, our eyes, our strength, our backbone, our liberation! And he calls us to gather and hear the message of the counsel of elders. hands in the soil, feet in the soil, wearing shells, singing, dancing, DRUMMING. And you will translate, you will translate. Just stay in harmony, just stay in harmony. Just be in the realms. Where are you going all the time? Where are you going all the time, running from us? Stay here! Stay here with us! 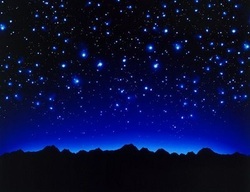 He also urges us to listen to the stars.We must listen to the spirits of the stars as they too are part of our family! And they too love us and long to guide us. And so through divination we can understand the many languages that are uttered when those who are blessed begin to "speak in tongues." This Sunday at 6PM we will gather and allow this counsel of elders to share the wisdom they so desperately wish to share, to both heal and empower us. 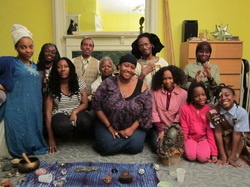 During yesterday’s Sacred Circle, we performed a ritual in support of Ebele's soul's mission. 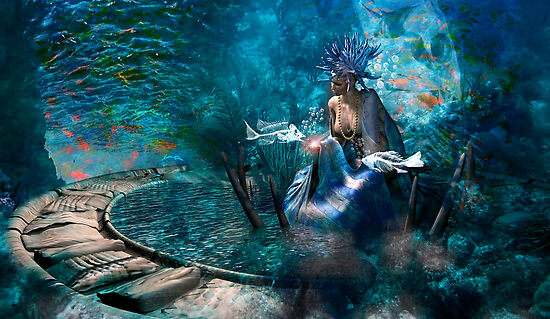 Due to her close connection to Yemaya, this goddess was our focus. As part of the ritual, we drank an elixer commissioned by Tehuti (see below for contents). And with her usual passion, Yemeya had these precious words to share with us. She tends to come through Ebele with a wonderful ebullience! Enjoy. Welcome! Your mother is with you always. I am in you, I am in you, I am you! Go within yourselves and connect with me. Celebrate beauty within yourselves and in each other. Celebrate beauty in the world. My children, I love you, I love you! I love you so much! Connect with me within. Smile often, laugh, play, enjoy life. Be in the beauty in the world. Learn to be in the moment. You are in the ocean and there are fish everywhere. This is a sacred space. I am joy but I feel pain. I feel sadness because my children don’t come to me as they should. I am inside of you. I am everywhere. I am with you. I am your mother! I am your mother! Oh, my children you don’t come to me as you should, come to me! The mother is joy but she feels pain because of you. My mark is on each and every one of you. You are my own, all of you. So be in the ocean, and sway in the ocean. Be with me in the ocean, sway in the ocean. It’s safe, it’s safe, IT’S SAFE! All of your worries, let loose. Let me take care of you. Come to me, I’m you’re mommy. Come to me, I’m your mommy. Come to me for healing. Come to me for love. Come to me for anything- I will give it to you. And if I don’t give it to you it’s not good for you- because I love you! Women especially, love you! Love your face, love your hair, love your bodies, love you! Men too, love yourselves.Love the feminine in you. Go deep within. Go in your heart. I am right inside, looking at you. Have a pure mind and a pure heart and you will find me. I am in your womb, your stomach, your third eye. Speak your truth in love. How can we learn about Yemaya? Go to the river, the ocean, and meditate. Go with a simple stone or find a stone near the water, any stone or shell will do. Take it home. Listen for me in the stone, let me enter. I will speak to you in your dreams. Let that stone be your special stone. Let no one else touch that stone. That is between you and I! What kinds of offerings do you like? Sweets. I love sweets- biscuits, crackers, snacks, flowers. And what types of gemstones? Gemstones with the water element- blue, white, clear crystals. Stones near rivers and oceans, pick them up. How do we heal the throat chakra? So many voices are being stifled, especially women. Gargle with salt water and think of me. Turquoise is powerful. Wear quartz crystals around your neck, and turquoise. Talk to your throat chakra every day. Apologize for not speaking up, not speaking the truth when it is in front of you. Don’t be afraid to speak your truth. Let there be a marriage between your throat and your heart. At this moment I asked if she had messages for each of the people in the room. This week you are invited to embrace Yemaya! Read these words each day and hold her in your heart. Adorn your altar in recognition of Yemaya. Place blue and white fabric, as well as blue and clear stones. 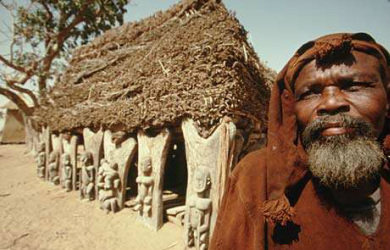 I have been speaking with several people about more in-depth shamanic training. Some of you have expressed a desire to do a more intensive exploration of your missions and a deepening of your shamanic abilities. Let me know if this is of interest. As for Sunday, I hope that you will be able to receive these blessings of the goddess realms! Be sure to let me know of your intention to come as there may be additional suggested preparations. For now, feel free to indulge in a bath with blue gemstones, shells, and a touch of sea salt. For the ritual you are asked to honor the space by wearing blue and white. If you feel inspired, please bring flowers, shells, and/or blue candles. Let me know if you think that you will be able to pick up some white lillies! 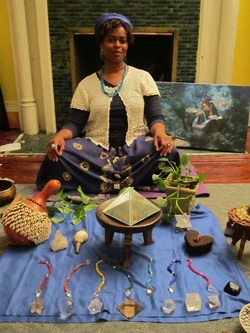 I've been neglecting this blog so I'd like to get back to posting updates from the Sacred Circle here. Yesterday's circle was devoted to supporting Rosa is continuing to step more deeply onto the path of her mission. Rosa has a very loving and compassionate mission. She is a vessel of divine love, here to heal and nurture others. Yet, as Tehuti explains, loving compassion needn't be associated with weakness as it is often perceived by the dominant culture. He explains: True joy is achieved through giving and compassion. When you give and show compassion you align with the love, joy and bliss of the universe and you experience the only true bliss, joy, and prosperity. Riches beyond measure. During yesterday's ritual, Ebele and I received messages from Auset. She expressed profound gratitude for the ritual. She also explained how rare it is for her to be seen and recognized and for these qualities of gentleness and nurturing to be celebrated. She said that the planet needs this!!! She also asked that we look to how we can be more gentle in our lives as well as to honor our mothers and our female ancestors. One final note- This morning I got a call from a man who received a reading about a month ago. He has been grappling with the notion that in a past life, he was a person of an ethnicity that is known for widespread acts of aggression and oppression. Yet he himself was a kind man who made a powerful contribution to the legal system. He instinctively understood the notion of divine justice and, as a magistrate, rendered highly evolved decisions. His reading revealed the difference between human law, which has evolved largely out of an ego-based system, and divine law which establishes true justice and balance in the universe, as expressed in the Laws of Maat. He plans to attend on Sunday to gain more support in moving forward with his mission. Something of interest, as we align with the nurturing energies of Auset, this morning on WBAI's show called Democracy Now, Amy Goodman did a wonderful piece acknowledging the "unpaid labor" of women caring for their families, raising the children, etc. It really was quite lovely. You can catch it on Democracynow.org under today's show- it was the last segment, about 20 minutes long. I hope that you are all excited to embark on this collective journey of pursuing our sacred missions. This is a precious opportunity to see how the universe unfolds once we act in accordance with divine guidance. To that end, for those who have had readings I recommend that you review the notes each day to keep the message in your thoughts. All others, what are you waiting for? Come get a reading to reveal your soul's mission. Here is a message from Tehuti shared at Sunday's Sacred Circle. It’s not that you have not been given the answer. It’s that you have not listened. There is no need to search for another teacher. It has already been said, countless times. The question is: Are you ready to listen? Are you willing to be saved? Stop and be willing to know the truth. Seriously, what are you doing right now? What have you planned or the day? Is there anything more important than knowing truth? Is there anything else worth pursuing? Look at your mode of being. Your actions. Are they leading you to truth? Do you continue to seek the things you believe will complete you? Things to quell the pain. Seek truth as if there is none other. Drop everything, clear your calendar, make a way for truth. He will never betray you. What would today look like if it were completely devoted to truth? What would right now look like? Believe me, you would have a lot of FREE TIME. So much of your “life” with it’s ensuing problems would melt away. So pack your medicine bag and prepare yourself to embark on the ultimate quest. The only quest. Purify your actions to reveal truth. Take no action that does not bring you closer.